On our second trip to Paris, I saw a ghost. Not really, of course–I’m not exactly a superstitious person–but it felt like I had one with me all the same. Everywhere I went, slightly younger, far less traveled, and somewhat better-dressed versions of Jeremy and me followed: ghosts of Paris past, if you’ll forgive the overused language (Paris has a way of making cliches feel accurate). Our first trip to Paris in late 2013, you see, was life-changing in ways we didn’t see coming at the time. It was our first trip to Europe, our second-ever international traveling experience, our first time ever traveling internationally independently (our first trip abroad, to the Bahamas, had happened earlier that same year and took place at an all-inclusive resort). If you had asked me then, 23-year-old Kate would have told you that we came to Paris because we wanted to see Europe at least once before settling into “real” life, and depending on how honest I was being, would have said we were determined to make the trip happen before future babies could get in the way. All of that was true… but then we got to Paris. Paris took our somewhat untested love of travel and ignited it into a full-blown passion. When we emerged from the metro for the first time after taking it in from Charles de Gaulle airport and were smacked in the face with a gorgeous flower stand, a beautiful Parisian street, and a cathedral with bells chiming, we knew we were in love. When we saw the Eiffel Tower twinkle at night, we knew we would be back to Paris one day. 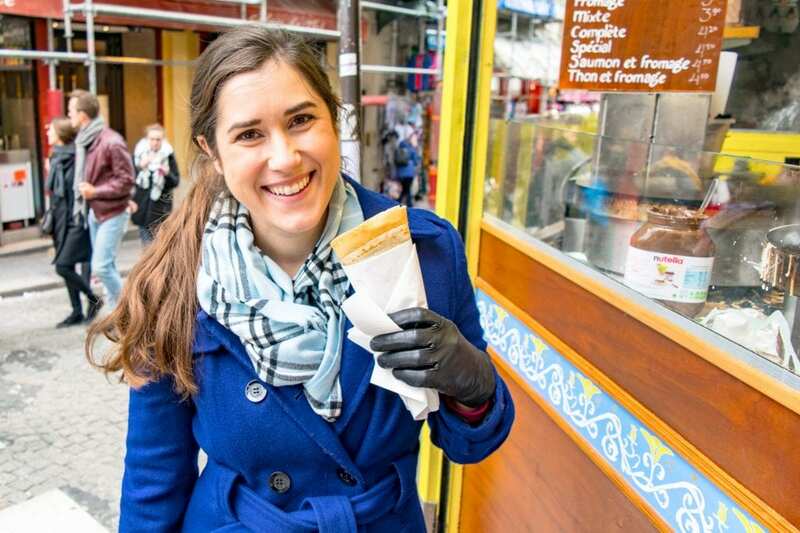 When we bit into our first French croissants, we knew we would be eating around the world for a long time to come. And when we boarded the plane to bid Paris goodbye in January 2014… we knew our travels were just getting started. Two and a half years after leaving Paris for the first time, we boarded a one-way flight to Madrid with a plan to travel the world. And as romantic and wonderful and impactful and meaningful all of that sounds and feels looking back, there is another side to our first magical trip to Paris that, in our quest for honesty, bears mentioning: that we had no idea what we were doing. Before Paris, we had never ridden a metro before. We had never navigated a city before (let alone with old-fashioned maps–we didn’t even buy French SIM cards on that trip!). We had never been somewhere that English wasn’t the primary language before (and other than my extremely rusty high school French, neither of us spoke the language). We had never taken a taxi. We had certainly never been to a city as beautiful as Paris, as downright Instagrammable as Paris, as written about as Paris. And sure, we did just fine in the end, managing to eat, move around the city, and experience the classic Parisian highlights without getting badly ripped off or terribly lost–but there’s absolutely no doubt that the organization of our days and mechanics of travel took up far more of our mental and emotional energy on that first trip than they do now. Which brings me, in a typically long-winded fashion, to our second time in Paris. This trip was so unlike the first: relaxing where our first was intimidating, laid-back where our first was action-packed. And yet… the magic of Paris was just as overwhelming as the first time. I don’t think we’ll ever stop being gobsmacked by this city. One of my favorite things about our second trip to Paris? Exactly how few things from our first trip we repeated. True, we paid another visit to the Louvre (and saw basically none of the same exhibits), saw the Eiffel Tower, strolled around Montmartre, and visited Shakespeare & Company (duh), but overall, this trip felt very different than the first–mostly because we spent our days doing different things. And, of course… we loved them. Here are some of our favorite new experiences from our second trip to Paris. We climbed to the top of Notre Dame. One of our biggest regrets from our first trip to Paris was that we didn’t climb any of Paris’ famous monuments for a birds-eye-view over the city (ridiculous, since we bought Paris City Passes for that trip and the fee was already included for some spots–we just didn’t want to wait in line), and we were determined to correct our mistake during our second time in Paris. We picked the Notre Dame, both for the central view (the Eiffel Tower, the Seine, Montmartre/Sacre-Coeur, and plenty of other highlights are clearly visible), and for the gargoyles in the foreground. We loved it: Notre Dame was worth every step to the top. 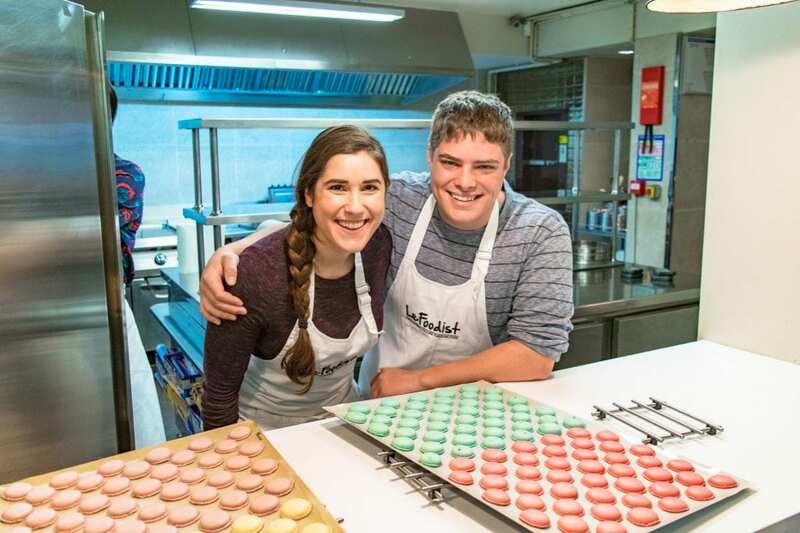 We learned to bake macarons with Le Foodist. Trying our hand at France’s notoriously difficult to bake bites of heaven has been on our wish list for a long time, and teaming up with Le Foodist was the perfect way to make it a reality! The second we walked through the door of Le Foodist (located just a short walk from the Pantheon), we knew we were in for a great experience: everything from the tables to the flowers to the walls was decorated to look absolutely idyllic and classically Parisian. We had a blast spending a long afternoon in Paris baking classic macarons (vanilla, chocolate, chocolate with coffee, and lemon) in a small group of seven, and–with the guiding hand of our amazing instructor, Anne–they all came out perfectly! After the baking, of course, came the biggest reward: the eating. Class was followed by a tea session at a beautiful table, where we all stuffed ourselves with macarons and tried not to count how many we were eating. The leftovers? 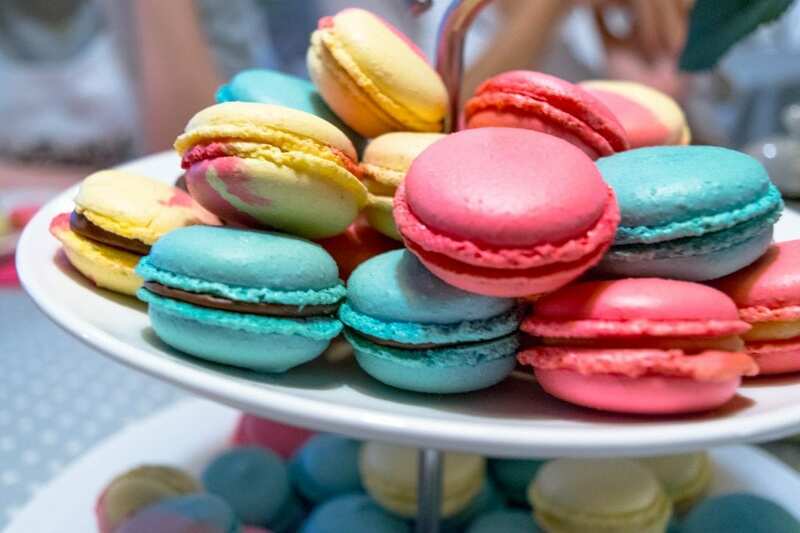 Those came home with us–about forty macarons worth of them. After our wonderful afternoon spent baking macarons in Paris, we are now much more confident in our ability to replicate a macaron recipe ourselves (just don’t confuse that with 100% confident), and also excited to take more Paris food tours & classes in the future–with a culinary tradition as strong as this one, it would be foolish not to! 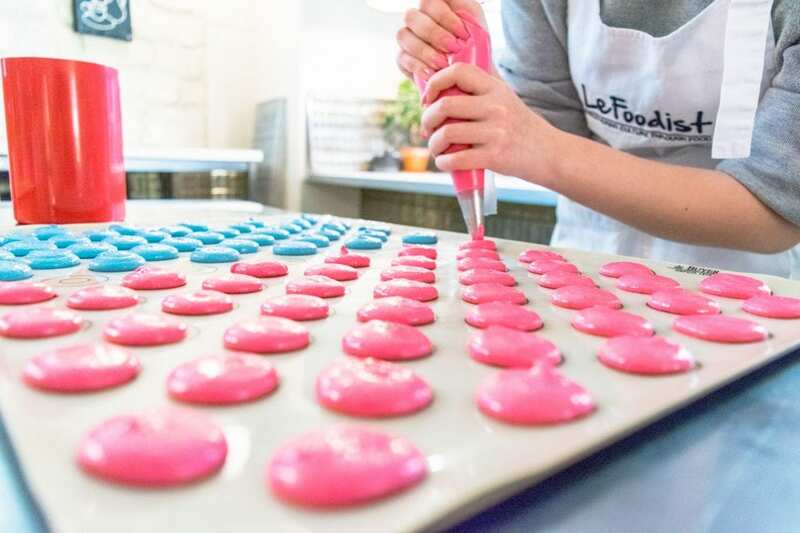 Book your macaron baking class with Le Foodist! We tried (reasonably priced) French cuisine at Bouillon Chartier. During our first trip to Paris, we were a bit intimidated by French cuisine… and even more intimidated by the price tags. Our researching skills were not what they are now, and we found ourselves a bit shell-shocked, having no clue what to order, where to go that the food would be good, or how to avoid a dud restaurant. As a result, we didn’t eat a lot of good food on our first trip to Paris (other than omelets, croissants, pain au chocolats, macarons, crepes… you know, the easy stuff!). This time, we knew exactly what to do: we researched good, reasonably priced Parisian food (one day, we’ll be back for those Michelin Star restaurants! ), and landed on Bouillon Chartier in the 9th. We went all out for lunch one day: escargot for an appetizer, confit de canard for the main course, a cheese plate following the meat course (traditional in France), and a chocolate mousse with whipped cream for dessert. Oh, and an (inexpensive) bottle of French wine, of course. We had a blast, we loved every last morsel, and we paid a whopping 45 Euro out the door, which felt like an absolute steal in Paris for all that food. We spent a leisurely hour in a cafe. Our first time in Paris, we had every intention of spending an afternoon enjoying a leisurely cup of coffee and a pastry while overlooking a beautiful view… but we never quite managed to slow ourselves down long enough to do it. 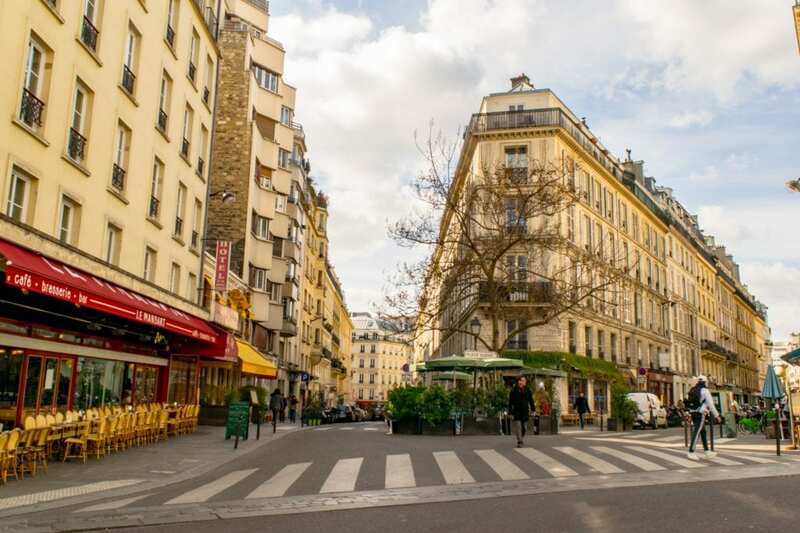 These days, though, we’re cafe masters–it took us no time at all (as in, we did it the first day), to find a beautifully decorated cafe with a great street view, grab a warm drink and a macaron each, and cozy up for an hour of chatting and people-watching in Paris. We checked out Galeries Lafayette & their beautiful terrace. Paris’ most famous department store wasn’t even on our radar the last time we were in the city, but it sure was this time! 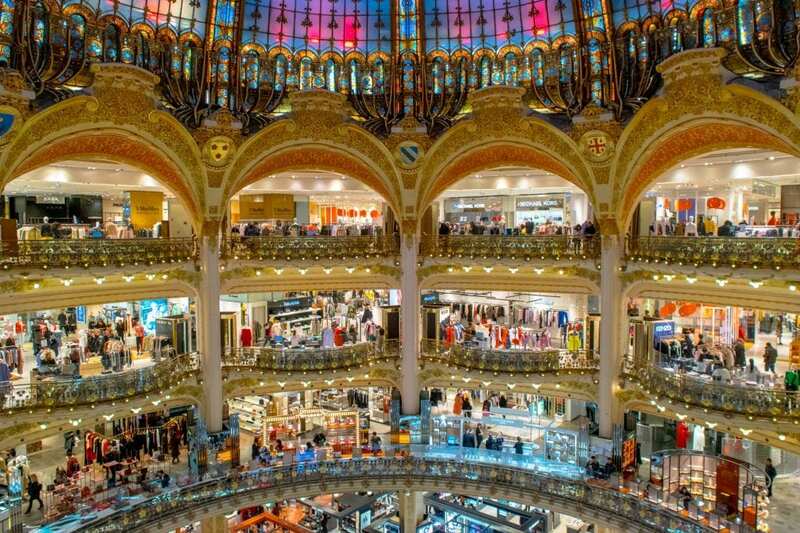 It lived up to the hype: Galeries Lafayette is, hands down, the most beautiful department store we have ever visited–its famous dome looked more like something that belonged in an old movie about wealthy ladies who lunch than a place where tourists take selfies next to standard, if nice, mall racks. 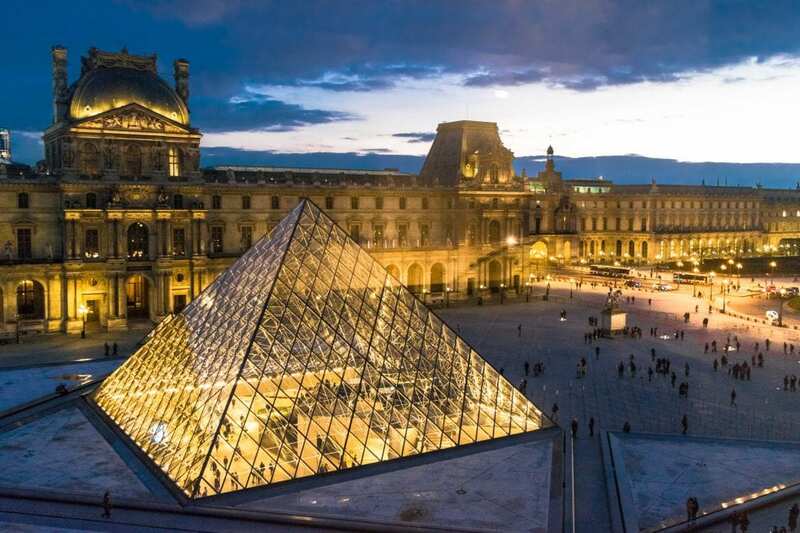 Other than the dome, the big draw of Galeries Lafayette is its beautiful rooftop terrace, which boasts a lovely (if rainy on the day we visited) view of the Paris skyline, with a close-up of the Opera House and a great view of the Eiffel Tower–for free. We (finally) saw Paris in the sunshine. So far, both of our trips to Paris have taken place in the winter (technically our second Paris trip coincided with the first day of spring, but Paris clearly hadn’t gotten the memo), so our days of sunshine in this notoriously gray city have been rather limited. On our first trip, we saw the sun shine on Paris… zero times. Seriously, the whole trip was under cloud cover, though it didn’t cross our minds much at the time (this was pre-photography hobby: we shot every photo during our first Paris trip on old smartphones). Walking up to the Eiffel Tower on our first day back in Paris and seeing it with a bright blue backdrop, though? We were treated to almost two full days of sunshine during our second time in Paris before the clouds set it, and we savored every minute of it. 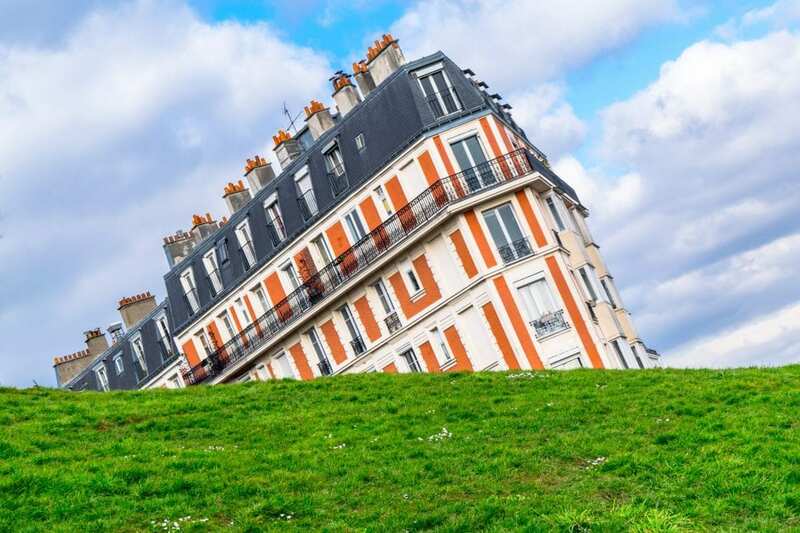 Looking back, one factor that sticks out the most in all of these experiences that allowed our second trip to Paris to be more laid-back than our first, and that is how relaxed we were. True, we were also less worried about money this time (not because we necessarily have more of it, but because we were more aware of what things cost while traveling and budgeted better), but that fades to the background as compared to our overall change in mindset. We weren’t worried about navigating the city–because that’s second nature to us now. We weren’t worried about seeing everything–because we knew we’d be back. We weren’t worried about missing something important–because we stuck to our priorities. Overall, our second time in Paris was much less about conquering the destination and rushing from each highlight to the next than it was about simply soaking in the beautiful city, while also enjoying some of the activities that we love. Our first trip to Paris was incredibly special, absolutely delightful, and ultimately life-changing… but looking back as a much more experienced traveler, I can’t help but smile a little indulgently at the ghost Kate and Jeremy following us around–those guys had so much to learn. But, that being said–they may have done a lot of things wrong, but for a first taste of independent international travel… they did pretty well. And learning, as we have certainly found throughout our nearly two-years of full-time travel, is half the fun anyway. Many thanks to Le Foodist for hosting us for their macaron baking class in Paris! All opinions and excessive macaron binges are our own. I feel like I had the exact same Parisian experiences! The first time my husband and I went to Paris together (which was actually the second time for each of us), we weren’t as seasoned travelers and found the city a bit overwhelming. And we’re New Yorkers! But once we settled into long-term travel – Paris was a breeze and just so much lovelier. I love what you said about knowing your priorities as a traveler. It’s so important, but unfortunately doesn’t often happen for people who don’t travel as much or for as long. I LOVE this post! I’ve been to Paris twice now; the first was exactly like you describe your first trip. The second was good, but we only went for a day and did all the highlights because my partner had never been, and to be honest I wasn’t in love with it. But I know I’ll go back, and I can totally imagine having the same experiences and revelations as you on my next trip now that I’m a more seasoned traveller. I ESPECIALLY now know that I neeeeeeeeed to go to the top of Notre Dame, which is one of my biggest regrets! This is just affirmation that I absolutely have to do it next time! Yes!! The view is so good up there, honestly. I’ve never wanted to climb the Eiffel Tower (what’s the point?! ), but I think we’ll try climbing the Arc d’Triomphe next time… maybe climb one monument everytime we visit the city! Lol. Paris is definitely an inspiring place! I am heading back for the third time this year. It’s always a special place and worth revisiting. Love your story! This was so lovely to read. I have one question, though…. you’d never taken a taxi?!?! This may seem a bit ignorant, but I’m genuinely curious… do they not have taxis in the U.S.? I’m SO intrigued right now! If we were in the same country I’d definitely recommend a sit down meeting with some macarons to discuss the taxi-related differences between the US and the UK! Your photo from the Notre Dame is UNREAL! As are many of your photos really! This whole post has me wanting to book a one-way ticket to Paris (something I normally would never do, as Paris hasn’t really appealed to me before!) to eat croissants and explore. That’s actually a really interesting question! Short answer: not where we lived (suburbs of the largest city in our state, though not a very large city). Long answer: Cabs are pretty rare in the USA. Outside of places like NYC (and even there, it’s much easier to hail a cab in Manhattan than Brooklyn! ), you can’t really step outside and hail a cab. You can call one, but in most areas it’s extremely rare and expensive–I never knew anyone who used cabs growing up. Hence why the USA is so car-dependent, AND why kids are in such a hurry to get their driver’s licenses here–in the suburbs, it’s drive or wait around for Mom and Dad. I think it’s great to re-visit a city as you appreciate things much more. Paris in the sunshine is a must, but then every city looks prettier with some sun! Baking macarons must have been a great experience, and I’m sure you enjoyed them after too! Oh, we definitely did lol–and now we’ve been eyeing them in every store we pass! So far we’ve resisted the temptation to buy more, but we’ll see. I loved reading about how your first experience was so different from your second trip, and how you’re so in awe of the city! 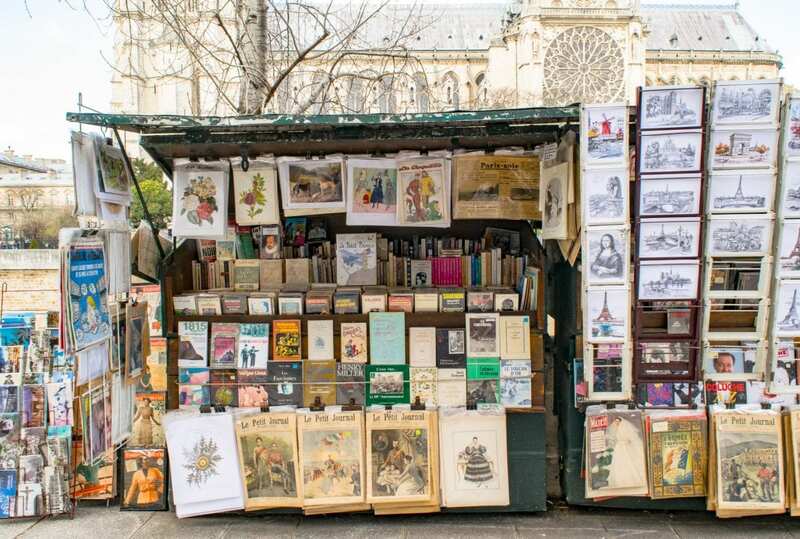 I have seen a LOT of people be totally in awe of Paris and even though I have been there myself and loved it, I wasn’t as ‘gobsmacked’ by it as you and I loved the feeling of such intense admiration that shows in your post. Having said that, I agree that your first trip in Paris can be very different from the second one because firstly, many of the museums cannot be explored in full, in just one trip and secondly, there are so many things to do there that if you plan a second trip, there surely will be things to see that you missed in the first! You have some good ideas here about what one can do on a repeat trip. I’ve had so much deja’vu reading this. We also went to Paris when we were 22 with very little money, we caught the overnight bus there from London and slept in the cheapest place we could find before returning on another overnight bus. We were so tired we fell asleep walking around the Louvre and hardly any of the things you are supposed to do there. You have inspired me to go back! 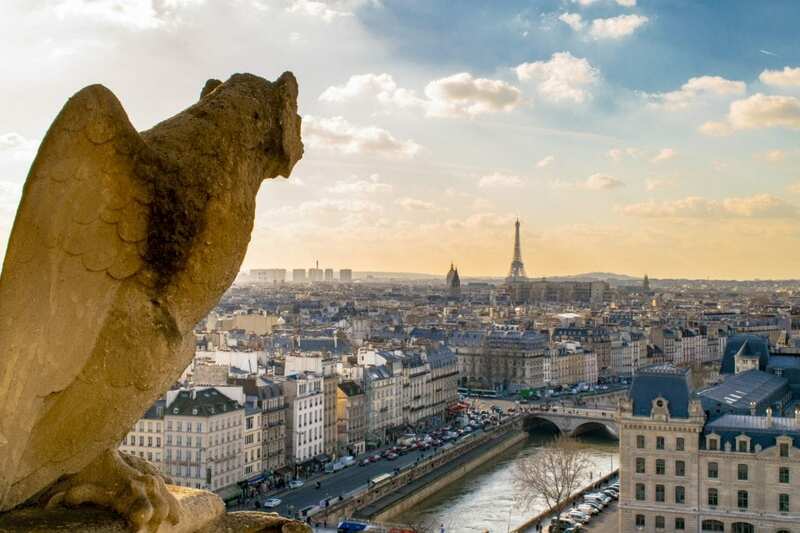 Macaroon class looks awesome, climbing to the top of Notre Dame looks awesome, seeing the Louvre properly sounds great. You’re enthusiasm is contagious, thanks for sharing. Aww! That first trip sounds like it would be so stressful to pull off now, but what a fun memory. I definitely recommend a return visit that includes plenty of time to sleep though, lol–you won’t regret it! Loved reading the post. 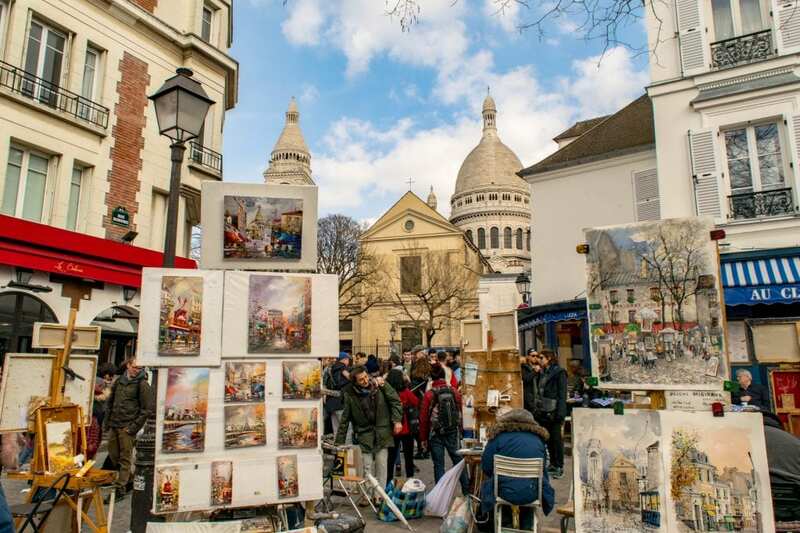 Often there are destinations, like Paris, which just can’t be experienced in one visit, and need another visit, after some time, to explore the lesser known things, which were left off, during the first one. Have been meaning to go to Paris, for a long time, but looks like, it might not be possible this year, Definitely going to climb up Notre Dame, to get a birds eyes view, and enjoy the beauty of Eiffel Tower during both the day and night. You’re so right–and yet sadly, we seem to feel that way about like 15 cities and counting, lol. It’s always such a battle to decide when to explore somewhere new and when to explore a place we have already been to more in-depth! Interestingly enough, I’ve also been to Paris twice but I didn’t get to the top of Notre Dame. I’m sure we’ll be back again since it’s my wife’s favorite destination, so it’ll be a goal for that next visit. There are still so many things we didn’t do, so we’ll have many more things to cover for the next trip. I think we’re going to make it a plan to climb up to a new monument or viewpoint each time we go to Paris–there are just SO many, I imagine it gets repetitive if you do them all at once. I imagine we’ll try the Arc or Sacre Coeur next, but I definitely recommend Notre Dame as a first one! I haven’t been to Paris but it’s really high up on my bucket list – with all the amazing architecture and rich history and culture. I mean, who doesn’t want to visit Paris at least once! Great to see that you were able to be more relaxed and take in more sights and sounds that the city has to offer. 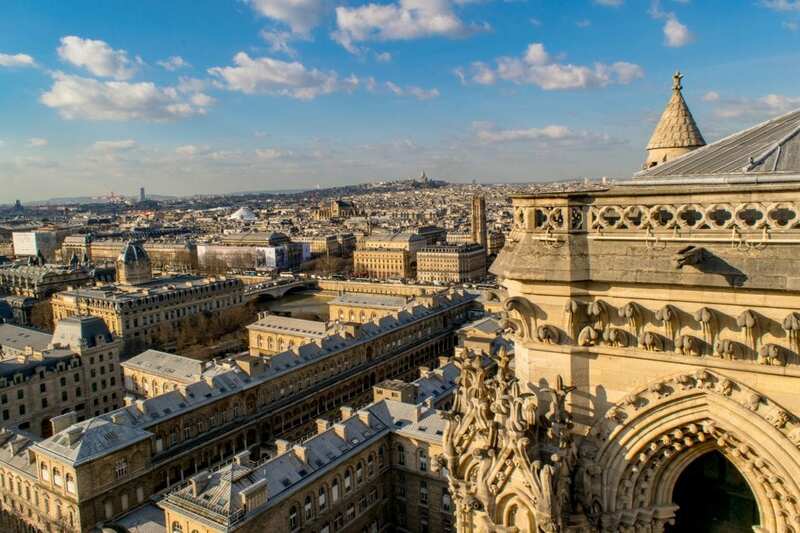 The view from the top of Notre Dame is absolutely breathtaking – I’d love to hike up and admire the scenery too! I can’t imagine not wanting to visit Paris at least once! It deserves how iconic it is, that’s for sure. Hope you get to check it off your bucket list soon! I had a similar second-time Parisian experience as you did. Unlike the first time, it was more relaxed and immersive. I enjoyed the food and sights more than the first time. Although I didn’t get to bake macrons like you did.